Illuminating narratives of strength, choice and culture in the South Asian community. 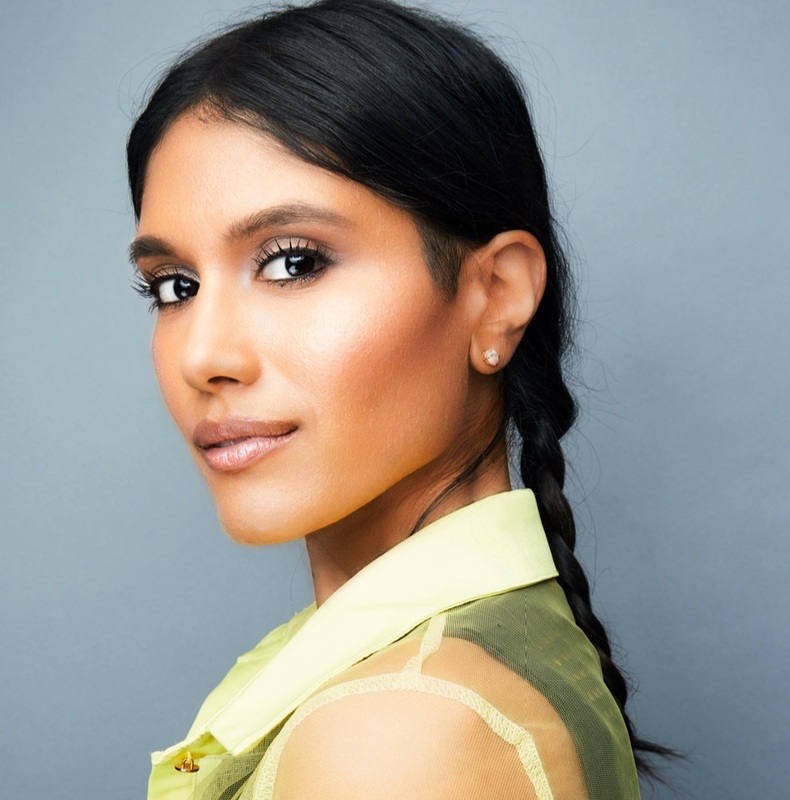 Meet Anisha Adusumilli, an actress and creator based in Los Angeles. Her award-winning short film, First Date, went to festivals around the world, and her recent credits include ABC’s Speechless, Netflix’s Lucifer, and FOX’s New Girl among others. You can catch Anisha starring in her new webseries, BIFL, a comedic webseries created by and for a wide variety of LGBTQIA+ identities. The series is about intersectionality grounded in meaningful, real-life situations. Both behind and in front of the camera, it's about our communities being seen and heard. Read on to learn more about her journey. “I was born in Indiana and lived there until I was five. We then moved to the Boston area for a few years, but I spent most of my childhood in a suburb of Toledo, Ohio. When I was growing up, we didn’t have many Indian families around so I was used to being the minority and didn’t really think about it much. We’d visit India every few years, and while I always appreciated these trips, I never felt like I truly fit in there. I definitely felt like I was a bit of a stranger to Indian culture, and always felt bad that I didn’t learn our language when I was growing up. Though I had moments where I felt like an outsider in India, I actually didn’t feel that as much in Ohio. “My first introduction to the arts was through classical piano. I started taking piano lessons when I was five and that sparked my love for music. I’d listen to music all the time (the first album I bought and loved was Celine Dion) and I also started taking singing and dancing lessons. All of this came together in musical theater in middle school and high school. I remember really going for it in my first audition, and I booked a part that set my trajectory in theatre. Everyone around me – teachers, friends and family – were super supportive. My mom in particular was very encouraging of any creative pursuits and she recognized how much anything creative lit me up. She knew that was where my heart and soul was. When I got to UCLA, I started taking classes in the theater department to develop more of a formal education in acting. I also joined an Asian American theater company called LCC and performed every quarter. I loved it so much that I minored in theater and majored in business economics. “At the very beginning, I didn’t really know anything about what it took to build a career in this industry. I started out doing background work to get on-set experience. My first gig was Valentine’s Day, and I was lucky because they had an Indian wedding scene in that movie. When I graduated, the show Outsourced had just started to take off. It was great timing because there were casting more Indian-specific roles. Then I started booking commercials, which led to more TV gigs. I eventually created a team around me with an agent and manager and kept working to build my work samples and resume. I also participated in some Hollywood diversity showcases organized by various networks. For one of them, I had to come up with my own comedy characters which sparked my journey into writing. I’d been taking sketch writing classes as well and my classmates seemed to really like my characters – so much so that they pushed and inspired me to film them. One of my characters evolved into my first short film a few years ago, called “First Date.” The concept is an exaggerated fantasy of what I imagine an arranged marriage to be as a first-generation South Asian in this app-driven, millennial dating world. Putting the film together was a huge learning curve and quite overwhelming, but I brought in friends to help me figure it all out. It was amazing to create something from nothing and so many doors opened for me as a result. The film writing process really helped me develop confidence in my voice. I think a core aspect to my voice is my sense of humor. When I’m around good friends and people I’ve known for a long time, I get very silly and just start saying things that I don’t intend to be funny – but I find people laughing. I think it’s partly because I am generally on the quieter side and people don’t expect it out of me. A turning point in this realization was in an acting class where we participated in an empathy exchange. We were all supposed to anonymously write down a short paragraph about a traumatic event we experienced and somebody else would have to absorb it and recite it as if it was their own story. The one I wrote was about these mean girls I faced in 6th grade, and to my surprise, I saw everyone laughing when my story was shared even though it was traumatic to me! Since then, I’ve realized my perspective on things are often received as comedic and I’ve learned to lean into that. I feel that being a creator pushes me to be my best physically, mentally, emotionally and spiritually. I have to grow as much as I can because opportunities may float away the second I lose my competitive edge. Being a creator requires you to always be at ‘Olympic’ status and put out your best. It’s the most challenging and rewarding experience at the same time, and I don’t know of any other profession where I’d have to push myself this much - especially since one aspect of the product is me. It puts a magnifying glass on what I’m bringing to the table in all areas. This business is tough because although you sometimes get to experience the glamor, there’s also the rejection and heartbreak. Those tough moments help me appreciate the everyday aspects of life and cherish what I can count on – my relationship with my grandma, watching sunsets, or eating a delicious dessert, for example. P.S. I keep telling my grandma that I really want her to play a role in my next project – she’s so cool, way cooler than me! Although my family has been supportive throughout the whole journey, they’d definitely be more comfortable if I had more stability. But I continue to work toward my goals and have a passion that I feel really strongly about, and I’m not ready to move on. I have this source of energy and this desire to persevere — that’s something nobody can really fight with. When your passion is based on the truth, nobody can stop you. “Even though diversity is sought after right now, it’s still a challenge in the industry. To pursue a creative career in acting, so much of it is skill set, but you also have to have a team that has the right relationships. On the ethnicity piece itself, I wish there were more opportunities. There are not a lot of South Asian stars and we have to remember that we’re all in it together. There’s only so much opportunity out there and the best way to break through is to collectively speak our truth and create the opportunities ourselves. I’m all about building community. It’s been really important for me to minimize the competition among South Asians and strengthen the family aspect between us. We’ve got to have each other’s backs. So I co-created South Asian Happy Hours for South Asians who work in Hollywood in any capacity. We hold these mixers quarterly, and they’re completely inclusive. The purpose is to help people get to know each other and foster creative collaboration. I’ve also joined forces with some other women to launch Brown Girls who Brunch, where we aim to bring together South Asian women in LA on a regular basis.